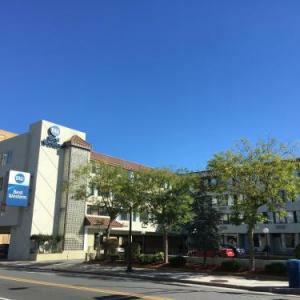 When it comes to hotels near the Boardwalk Hall, you'll be pressed to find one that won't overload you with enough activities to keep your head spinning. With casino games to play, shows to catch, and world-class restaurants in which to dine, Caesars Atlantic City Hotel won't disappoint. 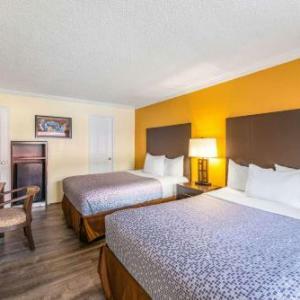 Of course, the rooms are also of high quality, with soft sheets, well-appointed decor, and a friendly staff to welcome you home after your long day out. 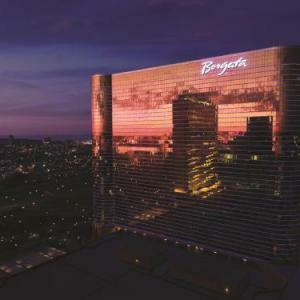 To suit both its upscale guests and the famed entertainers who regularly sweep through to perform, the Borgata defines the words elegant and chic. Celebrity DJs are often featured here, so you can party all night long. Unwind at the Bobby Flay or Wolfgang Puck-headed restaurants, or head to the fitness centre to work off some of those gourmet meals,. 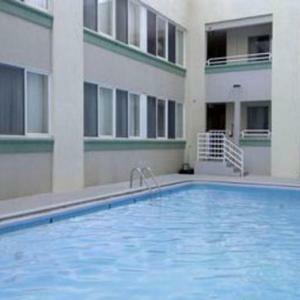 You'll find everything you need at this well-appointed - and well-located - hotel. 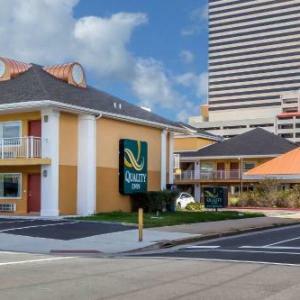 Located right on the Boardwalk, the Days Inn Atlantic City Beachfront is next to the Tropicana Casino and within walking distance of many of the best restaurants, shops and attractions Atlantic City has to offer. 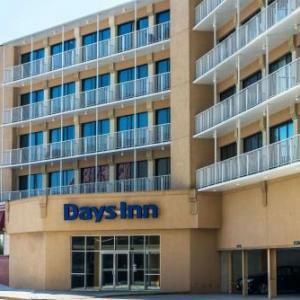 With comfortable rooms and high-speed internet service, you'll feel right at home. 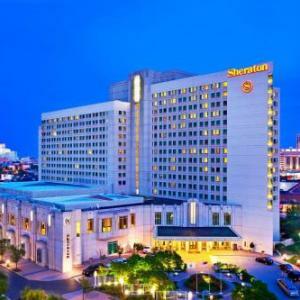 Looking for some things to do near Boardwalk Hall? 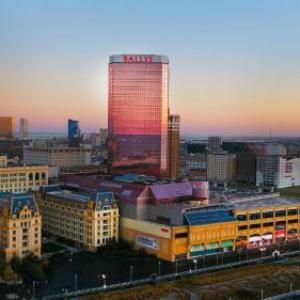 Click to view our full listing of bookable activities in Atlantic City! Boardwalk Hall is located on - you guessed it - a boardwalk. Actually, it's not just any boardwalk - it's one of the most famous boardwalks in the world. 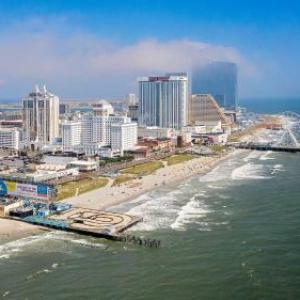 And with the siren sins of Atlantic City calling from just around the corner, you'll have no trouble finding yourself a distraction or two as you explore the region. 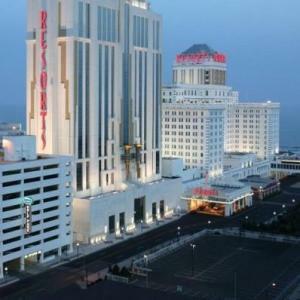 How can I spend the day in Atlantic City before heading to a concert? You knew this was coming. There's no way you can miss the Boardwalk that gives Boardwalk Hall its name. Ride the famous roller coasteror the "Sling Shot" while trying to keep down a diet of cotton candy and hot dogs. Take in the scenic ocean views as you stroll for miles along the shore, or take it all in from helicopter heights before heading to the big gig. 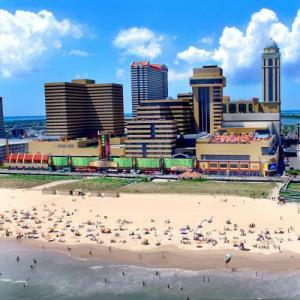 Bring Lady Luck with you to the famous Caesar's Atlantic City, where you can play the slots, try your hand at poker, or watch the World Series of Poker live if your timing is right. There are other excellent casinos in town, including the Borgata, Harrah's, and the Atlantic Club Casino and Hotel, so make sure you leave enough time to explore these many glamorous properties. Whether you're a fashionista keen on imbibing all of the American looks or you kind of just need new trousers (we won't ask), you'll enjoy hunting for bargains at the style savvy Tanger Outlet. Featuring 2,220 hundred stores and "just get it off our shelves" prices, you're probably going to want to look for a second suitcase. Get your lighthouse climbing shoes on: it's time to haul your way up 228 steps to the top of Abescon Lighthouse. The Atlantic City Skyline has certainly changed since the lighthouse was first lit in 1857, and it's a beautiful site to take in from so high up. Explore the museum and the replica of the lighthouse keeper's dwelling once you head down below. Where are the best places to eat and drink near Boardwalk Hall? Taste the Atlantic at Dock's Oyster House, the historic restaurant - it's been around since 1897 - just a few blocks away from Boardwalk Hall. Just about every kind of seafood dish is served up in an upscale setting that will put you in the mood for a night of celebration. Just a short jaunt down the boardwalk sits the Tropicana, where you'll find Chickie's and Pete's. They bill themselves as "part crab house, part sports bar" - certainly among the more creative combinations out there. Try the world-famous white lobster pizza while you're there, or just grab a quick beer on tap to ready yourself for the big show. When you're just looking for a quick bite on the way to the show, white house subs will fill you up to capacity. Here you'll get to try a bona fide Jersey sub. Stick to the seafood theme, or opt for the classic meatball option. Just try not to get any sauce on your shirt as you walk to the Hall. As you could probably guess, you can't bring your own food or alcohol into the Boardwalk Hall, and it's also worth being aware of the smart dress code: shirts and shoes are required. What's the best way to get to Boardwalk Hall? If you're arriving by rail, the New Jersey Transit Rail Terminal will leave you a 10-minute walk from Boardwalk Hall. Buses also stop just a few blocks away. You can find the bus schedule at the NJ Transit Bus trip planner website. You'll have three garages to choose from when you visit. At the end of Mississippi Avenue, you'll find a garage in the tunnel beneath Boardwalk Hall - note they only accept cash. 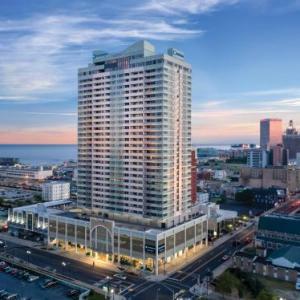 There is also parking at the Atlantic City Convention Center on Michigan Avenue, and at the Tropicana Casino & Resort, where you can stop in for some high rolling fun after the show. How much is food and drink in Boardwalk Hall? The prices will vary a bit depending on which concessions are open for the event, but they're quite reasonable overall: the prices you pay will be similar to those on the boardwalk outside. Food is a high point here: nothing is pre-wrapped, and there's a wide selection of freshly-prepared American favorites. Expect hot dogs, burgers, steaks and sandwiches, cutlets, pretzels, and ice cream. The Yards Tasting Room offers a selection of craft beers. Does the venue have WiFi? Is it free? There is free WiFi throughout Boardwalk Hall, so feel free to Periscope the night away. Depending on the event, between one hour and 90 minutes before the show. Liked: Easy to locate seats. Disliked: Not enough food places open. Horrible Sound Quality. Couldn't really hear any of the songs being played. Will never go back to the venue.